Disney’s California Adventure® Park, a separate park adjacent to Disneyland® Park, also contains eight separate worlds of fun and adventure. Disney® and Pixar® stories come to life when exploring Cars Land™, Buena Vista Street™, Grizzly Peak™, Pixar Pier™, Pacific Wharf™, and Hollywood Land™. 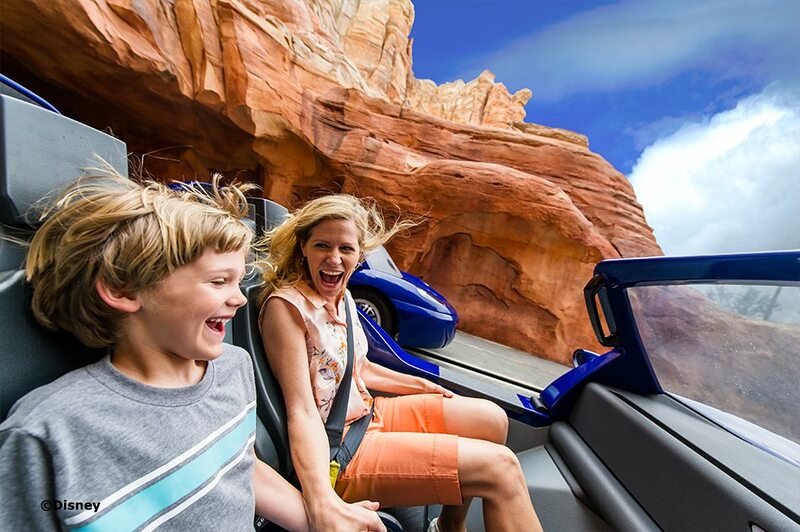 Go on a magic quest with Buzz Lightyear or enjoy the views of the desert in the land of Cars. No matter who your favorite cartoon character is, there is something for everyone at this magical place. So sit back and enjoy the ride, no matter which one you choose, at our Anaheim hotel near California Adventure Park®. End the night with the spectacular nighttime World of Color light show, a beautiful display of colors and music. With amazing dining choices, world-class shows, and rides for any age, including the famous Gradians of the Galaxy – Mission: BREAKOUT! ©Marvel, a convenient hotel gives you plenty of time to enjoy everything. With numerous dining options within walking distance of our Anaheim hotel, you can enjoy the House of Blues one night and Goofy’s Kitchen® another. There is something for everyone to enjoy, both adults and children, adding to the enchantment of the area. Our Anaheim hotel provides the perfect location and amenities to meet all your needs, letting you spend every ounce of time possible enjoying the excitement and thrills of Disney California Adventure® Park.